Ø1" stainless steel extensions posts are used in applications where rigidity and stability are most critical.Typical applications include supporting small breadboards and creating superstructures over the optical table. The PTX series 1 inch diameter extension posts are also often stacked with our PTA series Ø1" posts to create custom lengths. 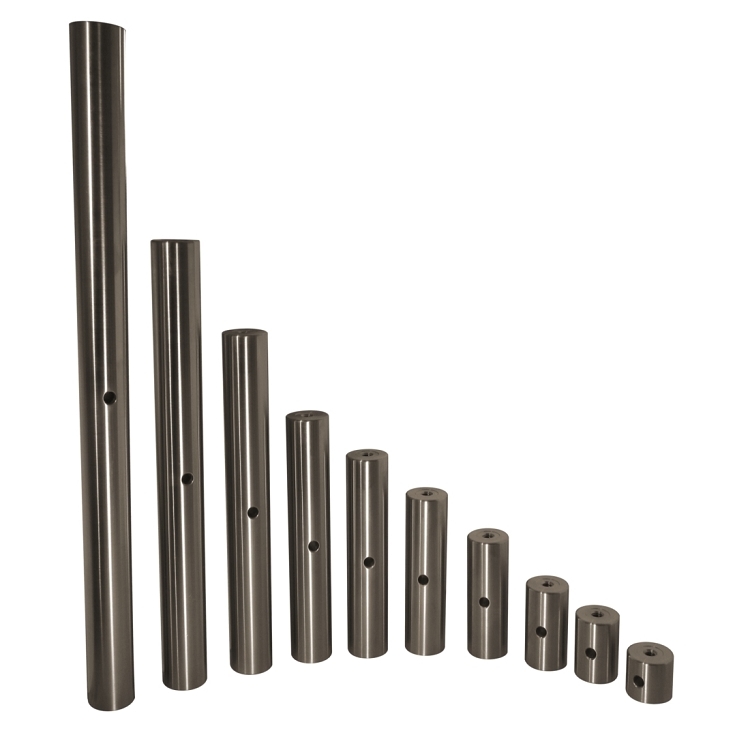 These nonmagnetic, stainless steel posts are tapped with a 1/4­-20 on both sides. The post also has a Ø1/4" hole through the middle to allow a ball driver or L-­wrench to be inserted providing extra leverage when tightening or loosening the post. A relief cut has been provided on both ends to ensure proper seating. If our stock products aren't quite what you need, try our Custom Optical Post request form. Get the posts you need, FAST!